On Wednesday, March 20th, the U.S. Court of Appeals revived Maxima Acuña Atalaya and her family’s case against Newmont Mining Company. The family sued Newmont in the United States for abuse at the hands of the company’s security forces. The lower court had dismissed the case, saying it should be heard in Peru. The Appeals Court reversed that decision on Wednesday. “Because of this decision, we are excited and full of hope. We have faith that sooner or later, there is going to be justice for us. We have always said we would knock on all the courthouse doors necessary in order to get justice; this brings us one step closer to the day when justice is finally done.” -Plaintiff Ysidora Chaupe-Acuña. Washington, D.C., March 21, 2019 –Yesterday, the U.S. Court of Appeals for the Third Circuit revived Máxima Acuña Atalaya de Chaupe and her family’s case against the U.S.-based Newmont Mining Company. The family of subsistence farmers sued Newmont in the United States for abuse at the hands of the company’s security forces. The lower court had dismissed the case, saying it should be heard in Peru. The Appeals Court reversed that decision. “Because of this decision, we are excited and full of hope. We have faith that sooner or later, there is going to be justice for us. We have always said we would knock on all the courthouse doors necessary in order to get justice; this brings us one step closer to the day when justice is finally done,” said plaintiff Ysidora Chaupe-Acuña, who is represented in the case by EarthRights International. 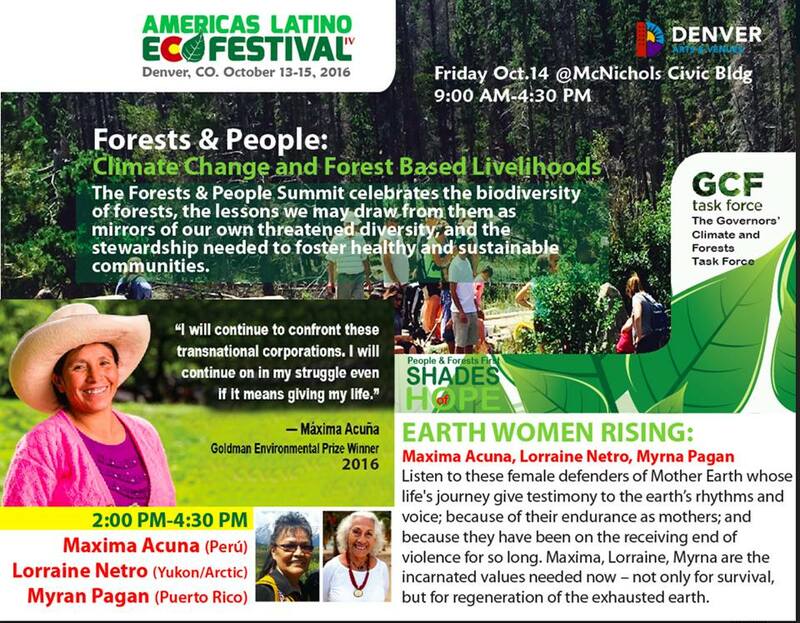 Máxima Acuña de Chaupe has been fighting for years to save her land and her community. Newmont Mining is determined to destroy both for a massive, open-pit gold mine — which would drain four mountain lakes in an arid farming region. The Chaupe’s allege that Newmont’s security forces have repeatedly harassed and physically abused Máxima and her family, destroyed her home, and killed her animals in an attempt to force them off their land to expand their mining operations. “Newmont knows as well as anyone that the Chaupes will not get a fair hearing in Peru and that the Peruvian courts have already utterly failed to protect them. That is why Newmont wants to send the Chaupes’ case to Peru. We welcome the Third Circuit’s decision requiring the District Court to rethink the adequacy of the Peruvian courts,” said EarthRights International Attorney Marissa Vahlsing. Citing evidence of corruption in Peruvian courts, including the recent state of emergency in the Peruvian Judiciary and evidence of past corruption in proceedings involving Newmont, the U.S. Court of Appeals for the Third Circuit vacated the District Court of Delaware’s decision. Noting that “these developments may bear on the District Court’s conclusions about the Peruvian judiciary’s impartiality,” the appellate court instructed the lower court to reconsider the evidence of corruption and render a new opinion on whether Defendants had proven Peruvian courts would give the Chaupes a fair hearing. In the fall of 2017, Newmont filed a Forum Non Conveniens motion, arguing that the case should be heard in Peru, not the United States, claiming it is inconvenient for them to litigate the case in Delaware even though that is where they are incorporated. The Chaupe family and their lawyers at EarthRights International opposed sending the case to Peru, arguing that the Chaupes are unlikely to get a fair trial in Peru, given Newmont’s corruption of local courts there. In April 2018, the District Court in Delaware agreed to send the case to Peru, concluding that—notwithstanding the Chaupes “troubling” allegations of corruption—Peru was an adequate alternative forum for their case. Yesterday, the U.S. Third Circuit Court of Appeals reversed and vacated that decision and ordered the Delaware federal to reconsider its determination that Máxima Acuña Atalaya and her family’s case against Newmont Mining Corporation should be heard in Peru — not Delaware, where Newmont is incorporated. The Chaupes are subsistence farmers who reside in the rural highlands of Cajamarca, Peru. They have cultivated crops and raised livestock on a plot of land known as Tragadero Grande for over 20 years. Since 2011, Newmont Mining Corporation, a U.S. company and one of the world’s largest gold producers, has led a campaign of harassment and abuse against the Chaupe family intended to force them off their land and to pave the way for a new open pit gold mine. The proposed “Conga” mine would be one of the largest in Latin America. After the Peruvian authorities failed to protect the Chaupes from physical and psychological abuse at the hands of Newmont’s security personnel, the Chaupes filed a lawsuit against Newmont in U.S. federal court in September 2017. The Chaupes sought an injunction asking Newmont to refrain from the abuse and reparations for the harm they have endured. The lawsuit seeks to stop a pattern of harassment and physical abuse that the Chaupe family has suffered at the hands of security personnel working for Newmont and its corporate affiliates. The case is Acuna-Atalaya v. Newmont Mining Corp., No. 17-cv-01315-GAM in the U.S. District Court for the District of Delaware. It is case No. 18-2042 before the U.S. Court of Appeals for the Third Circuit. In addition to EarthRights International, the plaintiffs are represented by Delaware pro bono attorney Misty Seemans. 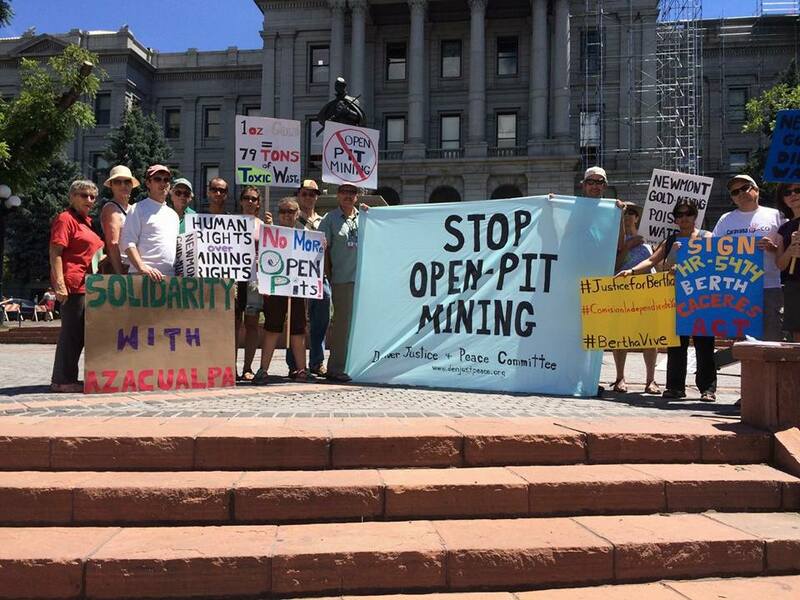 Global Day of Action Against Open-Pit Mining – July 22, 2016. Previous Previous post: Maya Responses to Top-Down Economic Development in Chiapas, Mexico.